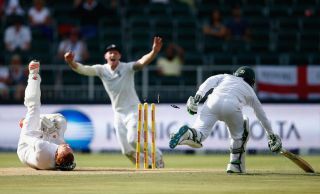 Sky to broadcast summer of cricket in 4K Ultra HD | What Hi-Fi? The Sky Q platform will host 4K coverage of England's One Day Internationals and Twenty20 cricket matches in June and July. If the summer of 2018 doesn’t turn out to be the one where England win the World Cup, perhaps it’ll be remembered as the summer of 4K sport coverage. We’ve already had the FA Cup and Champions League finals in Ultra HD, and of course we have the World Cup in 4K via BBC iPlayer starting tomorrow. Now cricket fans (those with a 4K TV and Sky Q Ultra HD subscription) also have reason to rejoice. Sky is broadcasting England’s One Day Internationals and Twenty20 matches this summer exclusively in Ultra HD via its Sky Q platform. All games will be broadcast on Sky Sports Cricket (channel 404), starting with England taking on Australia at the KIA Oval in June, and finishing with England’s last match against India at Headingley, Leeds in July. The full list of games is listed below. This, and Sky’s 4K coverage of the second half of the Formula 1 season, should tide Ultra HD and sport fanatics over until the 4K broadcasts of the 2018/2019 Premier League season kick off.